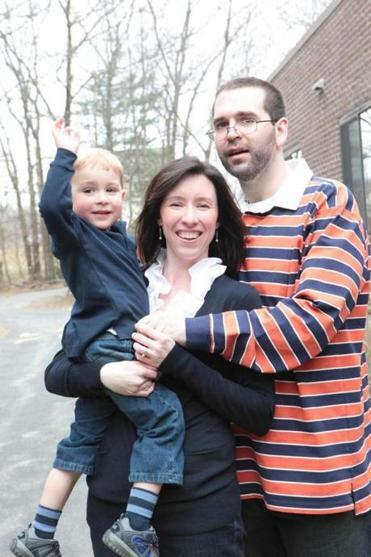 Katie Brandt’s incredible efforts to spread awareness and support families suffering from FTD are highlighted in this article in the Boston Globe. Like many FTD patients, it took months and several misdiagnoses before doctors were able to diagnose Katie’s husband Mike Brandt with Frontotemporal Degeneration (FTD). Mike Brandt was just 29 when he was diagnosed. She was raising a son while losing a husband. Unable to walk, talk or even swallow, Brandt died in April 2012. He was 33. Katie Brandt is now taking back power from the disease that took her husband by acting as the New England volunteer coordinator for the Association for Frontotemporal Degeneration. She is also the patient family liaison for FTD at Mass General. Katie Brandt is working hard to spread awareness and change the conversation around FTD. Read the full article in the Boston Globe and visit Katie Brandt's website. Read our FTD fact sheet to learn more about Frontotemporal Degeneration.